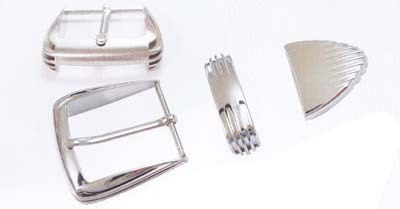 devanét buckle sets shown below are examples of standard made to order sets of individual components that can be made to make up a belt. Various finishes are available from Nickel coated and polished to antique brass or antique brushed silver. Widths in millimetres are shown as the last two digits in the product code, however specials can be made to your design subject to die costs and economic production quantities. Subject to demand standard stock sets will be introduced.